Jordan Peele's cocktail blend of horror inspiration plays out similarly to, say, an extended episode of The Twilight Zone or Outer Limits, but instead of feeling unnecessarily stretched, it leverages the extra breathing room to construct a very creative multi-layered narrative. In this case, the concept of duality as a prism through which all our observations are filtered. On the very surface, this is a home invasion thriller of apocalyptic proportions, and just on that front, it works well enough. But give it time to unravel; Us begins to accelerate and focus and reveal the other side of this dual-message setup, ultimately leaving you at the doorstep of a revelation that absolutely demands you watch it all over again—from the other side of that prism. Peele is a genius. The journey of course, despite the reference to horror cocktails, is littered with the kind of stuff that marks it distinctly Peele's. There's always a sense of humor about it (which admittedly gets in the way sometimes), plenty of nods to the genre's staple films (The Shining and Chud being most prominent), some biting social commentary, and the subversion of expectations. He knows how to parlay audience bias into effective subversion tactics. Your disposition becomes your worst enemy. Again, he's a genius. Really, there's just so much to actually unpack with this film, but doing so would require specifics, and I'm not about to spoil this for you. Just know that, like Get Out, Us is more than what's seen on the surface, more than its genre categorization, and in fact, your own participation in the viewing will tie directly into its themes in a meta sort of way. 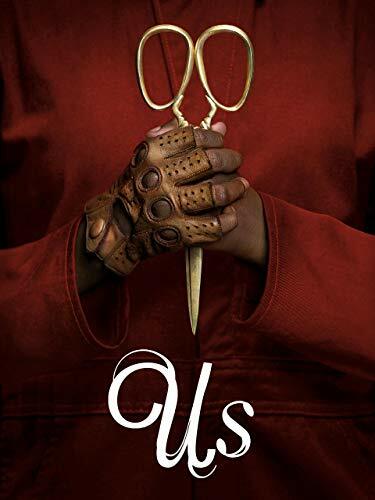 When you finally come to that same understanding, you'll likely think the same thing—Jordan Peele is a freakin' genius. Staying true to the whole theme of duality, Peele somehow managed to make a film to cater to both crowds of movie goers. On the surface we have a well crafted mainstream horror movie that hits familiar beats while sprinkling in some dad jokes to lighten the mood. On the other side of the coin we have a path - or should I say tunnel - that I would have never expected to be explored in this type of movie. Easter eggs for movies buffs, surreal tones, mean spirited violence, and extensive layers to peel back for the people who dive deep into what they watch. It’s been some time since I left the theater and I haven’t stopped thinking about it. IMDB trivia, other LB reviews, YouTube videos, fan theories, and I’ve been playing the soundtrack non stop. I think it’s safe to say after repeat viewings I could easily put 5 (of 5) stars on it.